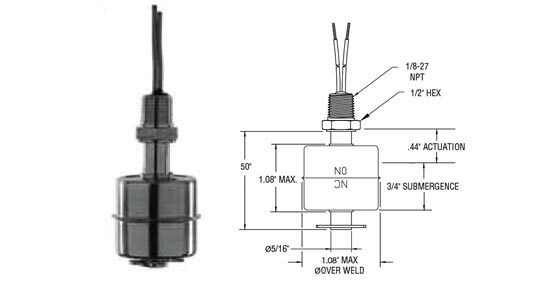 Leak switches come in two configurations. For interstitial space leak detection, the probe will be mounted from the top of the tank.It will be identical to the multi-level probe described above exceptwith only one float at the bottom. These are usually mountedwithin two inches of the bottom of the tank. 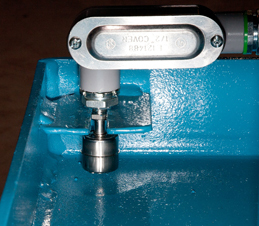 In other configuration a leak switch is mounted in the base pan area of a pump set or filtration set to detect an oil spill. These are usually directly wired to controllers mounted on the pump set.